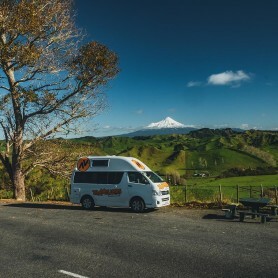 If you long to take a campervan New Zealand trip, the cost may be what is holding you back. As a curious adventurer, there is no better way to experience New Zealand. The truth is, you can plan your own roadtrip for less than you may think. 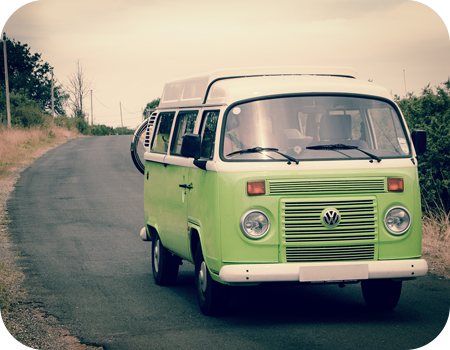 There are lots of ways to save on a campervan hire that you may not know about. 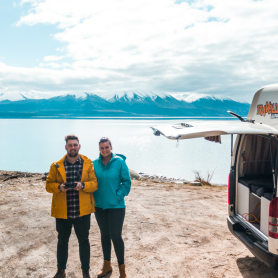 In this post, we’re sharing campervan budget tips so you can get on the road in New Zealand. 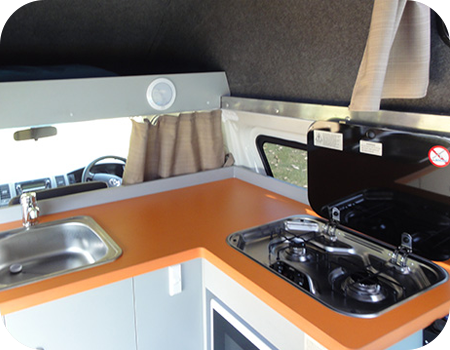 With a campervan, you will have access to a kitchen or kitchenette. With a fridge and a cooker, plan to cook your own food the majority of the time. While food and drink aren’t cheap in the grocery stores in New Zealand, make the most of your food budget by choosing items that will go far or will keep for multiple days. For a two-week trip, that is 42 meals, if you eat three a day. Before your trip, plan out a menu for the majority of those meals. When you plan in advance, you won’t be walking into a grocery store not knowing what to get, which could cause you to spend more. Also, consider the size of your fridge and what it can hold. Check out our previous post for quick and easy meal ideas you can make in your campervan. Dining out is pricey but it’s part of the experience of campervanning. Look for unique restaurants, not fancy ones. Budget for at least three to six meals out. If you want to indulge, try eating out for lunch rather than dinner as it can be less expensive. If you want to have spirits during your adventure, you will find that beer is much more expensive than wine. So, if you like both equally, stick with the wine. 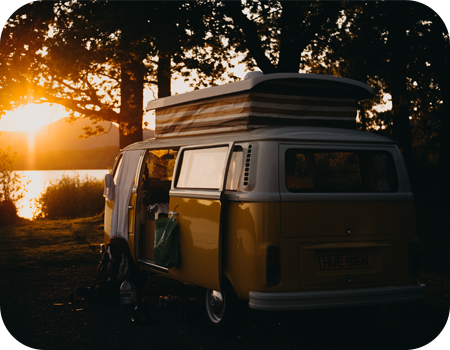 Travelling in a campervan means your accommodations are with you, but you will still need to find campgrounds along the way. 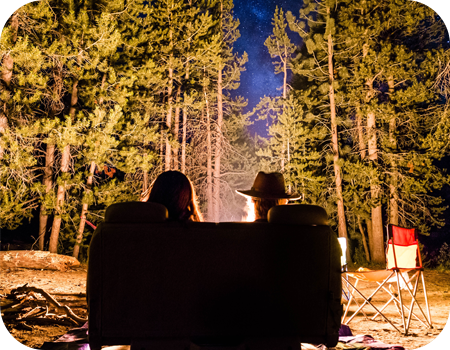 Some campgrounds have free access or your campervan hire provider may offer free or discounted rates for your evening stays. Many of these campgrounds will offer toilets and showers. Planning out where to stay in your journey includes campgrounds. Look at pricing and amenities when choosing. The time of year you campervan will also impact pricing of campgrounds, with summer being the most popular. Use an app like Campermate or RespectNZ to do your camping option research. On any roadtrip, fuel is going to be an important part of your budget. When you have determined your two-week route, you should be able to calculate how much fuel you’ll need for the journey. You may be surprised to learn that most campers get decent gas mileage, many around 12 to 15 litres/100 km. Related to fuel is how far you can drive per your hire agreement. Choose a campervan hire with unlimited kilometres so you don’t have to worry about extra charges if you happen to go over your limit. If you are a nature lover then entertainment costs may be minimal, should you decide to spend your time hiking. There are lots of things to see and do that are free that anyone would enjoy. If there are a few special activities you really want to experience that will cost money, like ziplining or another excursion, then budget the exact costs, which you can find by researching online beforehand. 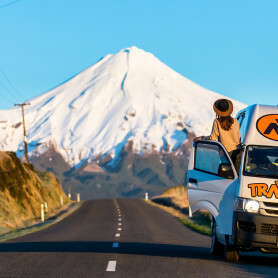 Your New Zealand campervan hire is what you make it. You won’t need to spend much on fun if you take advantage of the beautiful, stunning features all around you. Don’t let budget anxiety keep you from taking your dream trip around the country. The truth is, you can do it for a lot less than you think if you pre-plan. 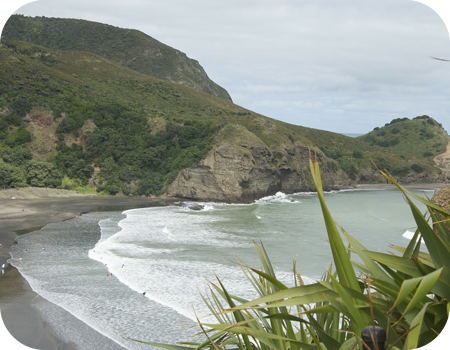 Another way to reduce costs is by choosing the right campervan hire in New Zealand. At Travellers Autobarn, we offer unlimited kilometres, access to free or discounted campgrounds and 24/7 roadside assistance. We’ll also let you in on a little secret—it’s always less expensive to depart from Christchurch. 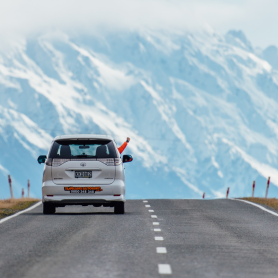 Start planning your escapade today by getting a quote from Christchurch Travellers Autobarn.